Using genetic analyses, Senckenberg scientists have discovered that not all grass snakes retreated to warm southern refugia during the last Central European Ice Age. Together with a colleague from Spain, they offer the first evidence for the survival of a warmth-loving, egg-laying reptile during this cold period. The study was recently published in the journal Scientific Reports. 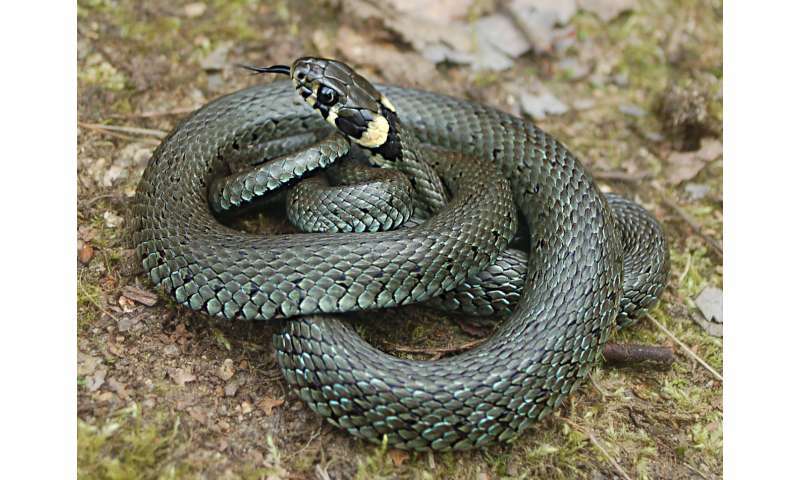 Among warmth-loving reptiles, the grass snake is generally considered a "cool" representative: Its present distribution even extends to the Siberian permafrost soils and the area around the Finnish-Russian Lake Ladoga. "However, it came as a complete surprise to all of us that this thermophilic snake actually 'overwintered' in Central Europe during the Pleistocene Ice Age," explains Professor Dr. Uwe Fritz, director of the Senckenberg Natural History Collections in Dresden. Until now, it had been assumed that thermophilic reptiles survived the Ice Ages only on the southern peninsulas of Europe and spread northward once the temperatures rose again during the Holocene and the interglacial periods. Using genetic methods, the researchers have discovered that not all of the snakes, which are widespread across Europe today, retreated to warmer, Mediterranean regions. The team examined a total of 1,372 genetic samples of these harmless reptiles. 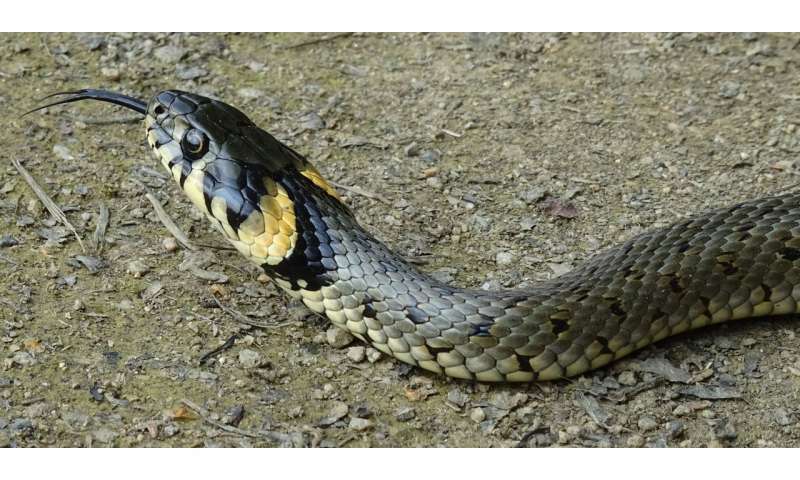 "We closely studied different genetic lineages of the barred grass snake (Natrix helvetica) and the Eastern grass snake (Natrix natrix)," explains Kindler. "One of the lineages of Natrix natrix survived the Ice Age in two separate refugia. One was located in the Southern Balkans, the other – unexpectedly – in Central Europe." As evidence, the scientists from Dresden highlight the much higher genetic diversity of the grass snakes in Northern Germany and Scandinavia as compared to their more southerly relatives. "This means that we need to rethink the model of 'southern warm refugia' – areas of retreat in the Mediterranean region – during the Ice Ages. It is quite possible that other heat-loving animals also withstood the cold temperatures directly in their habitats," adds Fritz.